Should I wear gloves while cleaning mold? Let’s jump straight to the point, “YES!” But you need MORE than gloves. Not convinced? Alright, here are the main reasons you need to make sure you’re wearing complete protective gear while cleaning mold. 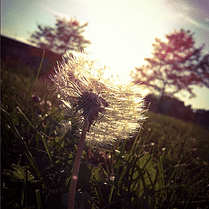 Picture yourself walking along the side of a beautiful dandelion field. All the seeds safely attached to the plant. The fluffy white field stretches out far and wide. Now imagine you step off the path and walk straight into the field. What happens? The seeds take flight, hundreds to thousands of small white seed launching into the air, completely uncontrollable. Mold acts much in the same way. Undisturbed, mold spores stay attached to the surface they’re living on. But, the minute you start cleaning it with a sponge or whatever cleaning utensil you choose, those tiny, invisible mold spores are set loose, flying through the air. Without gloves and a complete set of Personal Protective Equipment (PPE) on, those mold spores can land on your clothes, shoes, travel about your home or worse, up your nose and into your respiratory system. Another major reason you need to be properly protected is mold spores are extremely small. There’s absolutely no way you can tell where they’ve traveled, if they’re on your clothes, etc. The smaller they are, the easier it is for them to make their way around your home. That’s why you aren’t the only one who needs protecting during the cleaning process. Your home needs it too! In small spaces 10 sq ft and under, you should be sealing off the area or covering surfaces with plastic sheets (referred to as containment). What should you wear while cleaning mold? At a minimum – a partial face paper respirator (EPA recommends an N-95) and old clothing items you will toss when finished cleaning (you can also just wash them separately from your normal laundry). It would be great if cleaning mold was as simple as wearing the right outfit, but it’s not. To go through all of the work of cleaning up the mold and you never identified the source of moisture that’s causing the mold to grow, you’ll be back at it in a matter of months. FIRST – Find the water source. Is it a leaky pipe? Leaky faucet? Is the siding coming loose on your home? Play the role of an investigator and figure out where the moisture is coming from. SECOND – Discard any times or materials damaged by the mold by placing them in plastic bags and tying them tightly. Clear the area of toys, clothing, loose items, etc. THIRD – HEPA vacuum the area, wipe with a damp cloth changing the cleaning towels often to avoid re-contamination and let the area dry. FOURTH – After cleaning, flush the wastewater down a toilet, utility sink or floor drain. Put all used towels and clothing you don’t care to reuse in a plastic bag and tie tightly. Wash you hands and face with mild household soap. We’re all about trying to take care of things yourself but exercise wisdom. Know your limits. In areas larger than 10 sq. ft. we highly recommend you call in a professional mold remediation company to clean up the mold. Larger areas require specialized containment, HEPA filtration devices and additional equipment that requires trained technicians to operate. If you think you can take care of it yourself but aren’t positive, give us a call. We can talk it through with you and help you make the decision. If you decide to take it on yourself, DON’T reach for the bleach! Click here to read our article on bleach and mold and why they’re not a great duo. What do you think? Have more questions? Leave us a comment below!